Effective packaging solutions have several dimensions, beyond simply containing consumer products. In addition to furnishing physical barriers and protection, packaging must also account for concerns like marketing, logistics and cost-effectiveness. And within each packaging sub-category, requirements become more specific, calling on providers to adopt best practices for each consumer sector. These specialized requirements compel packaging companies to earn extra credentials and certifications preparing them for particular types of packaging projects. Food, for example, is subject to unique handling practices throughout the supply chain, so standards are established and maintained using supplemental training and compliance commitments. Global Food Safety Initiative (GSFI) is an industry-driven movement, supporting consistent, global food handling standards. Through member collaboration and consultation, food safety experts from all levels of the food supply chain are represented within the organization. Representatives from retail, manufacturing, packaging and other essential consumer market specialties bring their unique perspective to this internal compliance initiative, promoting high food handling standards. One such benchmark, known as the Safe Quality Foods Program (SQF) is widely recognized within food industries as a model for successful food handling. The program benefits suppliers and ultimately results in a safe, consistent food supply. As part of the comprehensive mission to spread safe food handling practices worldwide, many cooperating partners have adopted uniform standards. SQF promotes a quality management system designed to ensure safe practices at every level. Transportation, production, packaging and distribution are all considered, with an eye toward consistent improvement across the food supply chain. The international safe handling program has been around for years, having grown into a highly recognized industry standard. It is currently administered by the SQF Institute, which is affiliated with the Food Marketing Institute. Through accredited organizations, practitioners from food service industries, like processing, handling, preparation and packaging earn certifications applicable to their specialties. The quality management system addresses international standards and regulatory requirements, using scientifically proven concepts to guide collaboration compliance initiatives. To safeguard every stage of the food production and distribution network, many suppliers are imposing certification standards on their packaging partners. A Hazard Analysis and Critical Control Points (HACCP) program, for example, is now a requisite for packaging companies partnered with producers and processes committed to high standards. HACCP controls biological, physical and chemical hazards throughout the procurement, production and distribution of consumer food products. The HACCP management system ensures consistent treatment from farm to fork, furnishing a recognized certification standard for every organization working with the food supply. 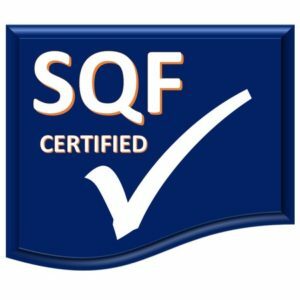 SQF certification is part of a comprehensive effort to improve food safety practices by recognizing companies equipped with the training, facilities and commitment to further the goals of the Global Food Safety Initiative. As part of the program, participants are continually pressed to improve performance and given opportunities to add extra credentials to their suite of certifications. Once the appropriate levels of compliance are met, packagers and other service providers are authorized to offer SQF code services. The certification addresses concerns like packaging design, documentation and recordkeeping, as well as manufacture and roll-out. Regulations and compliance with food handling legislation is also considered, including U.S. FDA materials recommendations. Operating SQF certified facilities gives packaging companies a competitive advantage over those without similar credentials, and it also insulates end-users from poor practices. In fact, many of the largest global food producers and processors rely on SQF certification to control consistency among their food industry partners. By working only with contract packaging operations committed to improving food safety and product integrity, manufacturers protect themselves with outside oversight. Food distribution is increasingly global, so a far-reaching standard like the SQF program adds credibility and acceptability across the world. And though different regions maintain their own practices and principals, SQF levels the playing-field for partners in North America, Europe, and Asia. By adopting an HACCP plan, packaging companies are eligible to pursue level-2 SQF certification, which in turn meets the packager’s obligation for GFSI guidelines. An additional, third tier, of certification is available, which expands compliance and also qualifies for GFSI benchmarks. Level 2 and 3 certification not only open doors to high-level packaging opportunities, but the organizational SQF training commitments also help turnkey contract packaging professionals promote internal culture dedicated to safe handling. Regulatory requirements continually evolve for food processors, producers, packagers and distributors. SQF stands-out because it is an internal standard adopted by those with a stake in food supply safety. Though laws governing how food is handled ultimately determine specific regulations, self-inspired oversight is an even more valuable defense against food borne illness. Gaining certification involves a consulting and inspection process that first evaluates, and then corrects deficiencies within food packaging operations. Through training and assessment, each SQF applicant is guided toward compliance, until onsite investigation ultimately confirms compliance and a certificate is issued. The process relies on information gleaned from two distinct audits. The first looks at documentation, practices, and procedures, ensuring company policies are in-line with SQF certification requirements. The in-depth analysis studies many months of an organization’s history. In order to qualify for certification, packagers must be in compliance with national rules governing the production country, as well as those on the books in destination countries. A second review conducted by SQF auditors focuses on packaging facilities. As part of the extensive review, auditors evaluate documentation and company policies, accounting for equipment, buildings and on-site food packaging processes. Any deficiencies found during this crucial second audit must be corrected before an SQL certificate is granted. Once certified, packagers must undergo annual review to renew their SQL credentials. The yearly audits are consolidated for renewal, so only one form of evaluation is required. To ensure ongoing success, SQF facilities designate staff practitioners to monitor and guide food handling integrity. In addition to standard packaging concerns like product protection, appearance and cost-per-unit, food packagers also address safety and supply management issues. To add consistency to the process and reinforce international safe handling standards, many packagers seek outside oversight, from programs designed to improve processes and policies. SQF certification is an essential feature of the larger Global Food Safety Initiative, which encompasses various aspects of production, processing, packaging, distribution, and ultimately; consumption. Voluntary programs like SQF protect consumers, but they also furnish industry certifications that help contract packagers establish food handling best practices within their organizations. Partnering with SQF certified packaging facilities takes the guesswork out of compliance and ensures global regulations and standards are met for each packaging project.